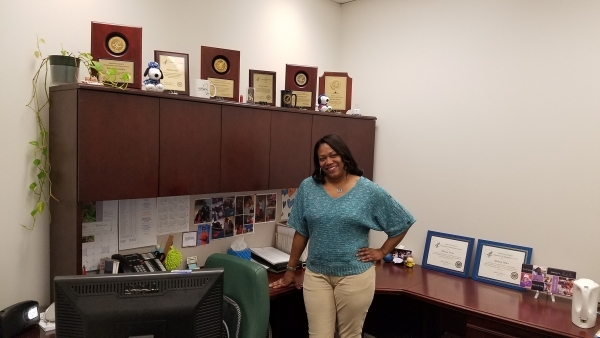 Senior Auditor Melissa Jones, of OIG's New York Regional Office, first considered military service as a teenager when opportunity knocked on her door. Literally. In 1990, when Jones was in high school, her brother was late for his appointment with a military recruiter's visit to her family's Brooklyn, New York, home. 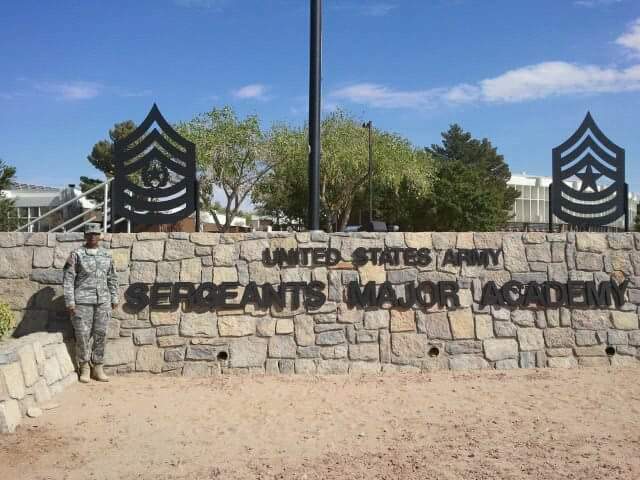 So she chatted with the recruiter and grew intrigued by the highlights of military life, including the chance to travel around the world and earn tuition for college. Plus, Jones' parents were immigrants from Panama and instilled in Jones the "need to give back" to this country. So Jones joined the Army right after high school, working at a Maryland post (Fort Meade) as a veterinary technician, taking care of military working dogs, military family's pets, the animals on the post's affiliated dairy farm and horse stable and the resident Navy mascot, a goat. In addition, she learned to conduct food inspections at the commissaries and dining facilities. She later trained to become a medic, serving in Germany for more than two years in military hospitals and medical facilities. 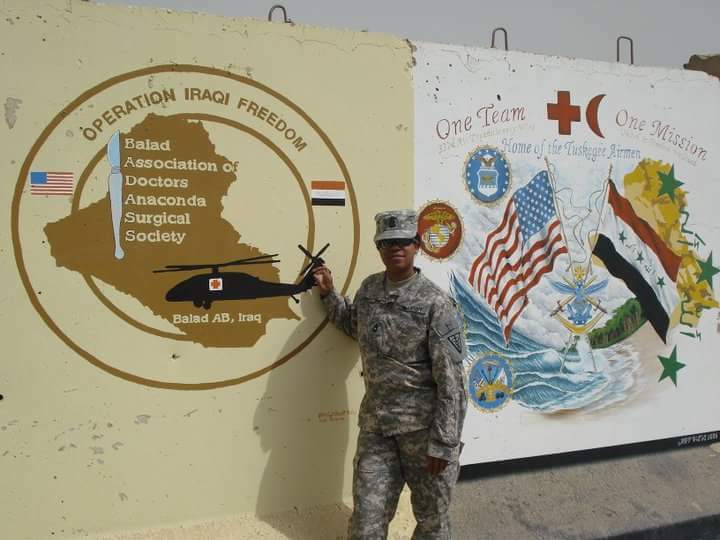 As a senior combat medic, she provided training to Army medics in New York, Mississippi, Texas, Washington, and Wisconsin and other domestic locations preparing them for deployments to Iraq and Afghanistan. In 1996, Jones came off of active duty and joined the Army Reserve while earning her bachelor's and master's degrees in accounting at Long Island University. Jones was eventually hired by the State of California's New York office to conduct corporate tax audits. It was hard to juggle the demands of the Army and her day job, she said, and she longed for an employer more accommodating of her military schedule. When she interviewed for a position at HHS OIG Office of Audit Services, Regional IG Jim Edert "took such an interest in my military career and expressed such support for it, that I knew I had found a home in this organization," she says. In September 2006, Jones joined OIG as an auditor. She currently oversees audits of Medicaid and Medicare programs, including prescription drug rebates and abuse and neglect in the foster care program. 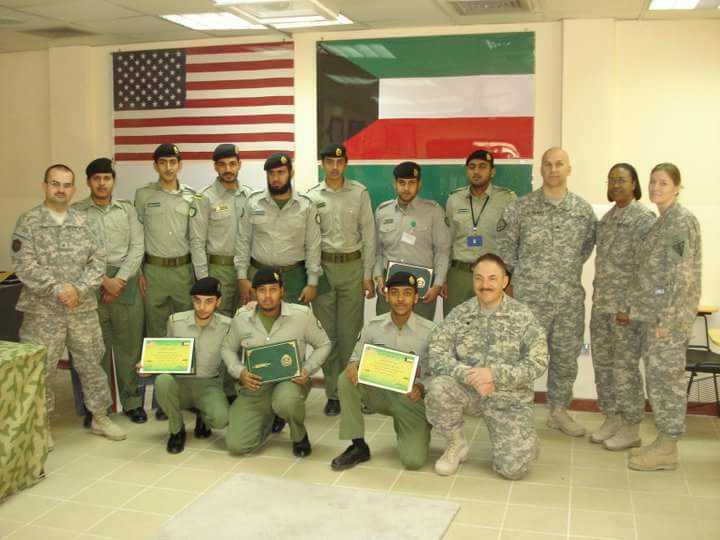 In 2010, as a reservist, Jones stepped away from her OIG job when she was deployed to Kuwait, where she provided senior medical advice and guidance and assisted in training Kuwaiti military in U.S. medical techniques. She later provided direct support for the care of military working dogs and food inspection for meals provided to deployed soldiers. 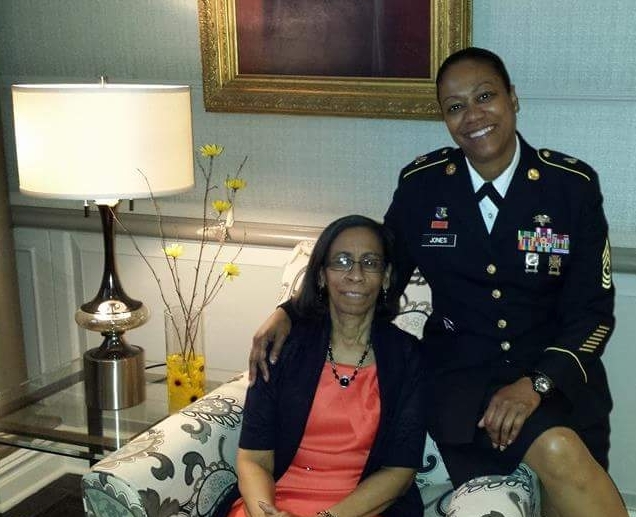 In May 2016, Jones retired as a sergeant major from the Army Reserve after more than 26 years of military service. 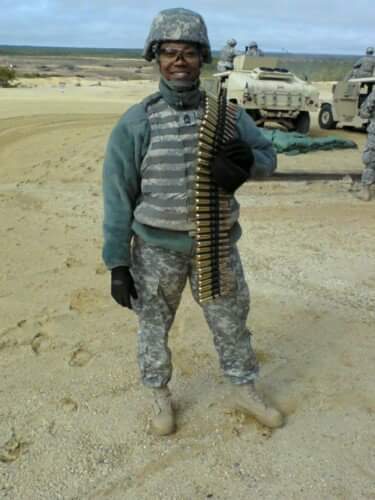 "Military training taught me that I'm here for a purpose higher than me. I'm not here just for a paycheck, I'm here to serve. Whatever it takes," she says. Assistant Regional Inspector General Scott Englund's entire adult life has been about service: in his more than 25 years in the military, through his auditing work over decades at OIG, and through dedicated volunteer advocacy and charitable work for service members and veterans. "My service gives me a good feeling. People recognize that military service is a big sacrifice, and it is," says Englund, who works in OIG's Office of Audit Service's Jefferson City, Missouri, field office. Englund says he has always had an interest in the military and his family's military roots are deep: his father was a Marine who served during the Korean War and both his grandfathers served in World War II. As an undergrad at Lincoln University in Jefferson City, Missouri, Englund joined the Reserve Officers' Training Corps to become a commissioned officer. In 1988, he was commissioned as a second lieutenant. 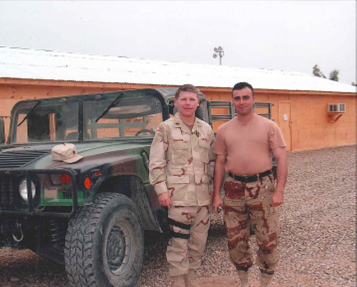 Over the next 22 years, Englund served in various service support positions for the Missouri National Guard: transportation officer and logistics officer, field platoon leader, company commander, and movement control officer. 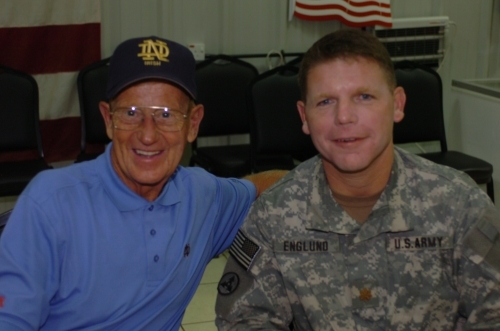 In 2004, Englund was deployed to Afghanistan and, later, Iraq. In Afghanistan, he served with the 76th Infantry Brigade outside Kabul in an embedded training team, which trains and mentors Afghan forces. As part of the team, he provided advice to the Afghan troops on convoy procedures and how to improve marksmanship. "The biggest challenges were language and cultural barriers. Some of [the Afghan army recruits] worked until they were paid and then they went home. They would return once they needed money," he explains. Englund ensured that the Afghan forces received resources such as funding, food, and ammunition that they needed to accomplish their mission. In Iraq, he was a housing officer for the 35th Area Support Group, about 40 miles north of Baghdad at Camp Anaconda, also called Balad Air Base. Englund and his team were responsible for the day-to-day operations of the installation, including housing for 25,000 personnel, food service, electrical power, water purification, law and order, and activities to build morale. In fall of 2006, Englund returned from Iraq and retired from the Missouri National Guard in spring of 2007 at the rank of major. After retirement, then Missouri governor Jay Nixon appointed Englund to the Missouri Veterans Commission, which helps veterans and their families. The Commission appoints an executive director to oversee commission staff and carry out the Commission's mission of providing veterans with timely benefits assistance, skilled nursing care and a "final resting place with honor." 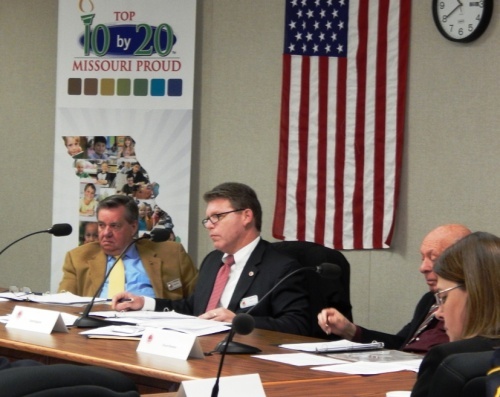 Englund is also on the Board of Directors for the Missouri National Guard Foundation, which provides psychological, spiritual, social, and financial services and activities to guardsmen, veterans, and their families. "There's a misperception that the veteran population in this country is dying off. There are many veterans coming back [from active duty]. Many of them need help," Englund says. The Foundation raised private donations to construct a chapel and a resiliency center at the Ike Skelton Training Center in Jefferson City, Missouri. The chapel provides a place for the family member of fallen service men and women to grieve and pay their respects to their loved ones who have died; a counseling center is in the basement of the chapel. "Active Duty posts have these type of resiliency centers; however, the funding was not available for the Missouri National Guard until the Foundation stepped in to create the facility," he says. "I am excited and committed to the Missouri National Guard Foundation, which gives me an opportunity to provide something to veterans that is not available to them through State or Federal funding." The Foundation is currently building affordable housing in Southeast Missouri for veterans who live in poverty, are disabled, or otherwise need assistance. The affordable housing complex will contain 48 apartments near the VA hospital. "We believe that by housing these veterans in a complex like this, they can look after and care for each other. It is veterans having each other's back," Englund says. "It also allows veterans to concentrate on getting back on their feet instead of stressing on where or how they are going to house their families. "I use my vacation time to help veterans. I am very proud of the fact that I do not receive any compensation. Giving in this way gives me a good feeling. It's important," Englund says.